Did you ever dream about creating your video mapping content directly in After Effects, and watch the result live ? With the Millumin plugin for After Effects, it's now possible ! Download it for After Effects CS5, CS6 or CC. This is amazing. Will it be seen in any other software via syphon or is it a closed signal? No, it's not Syphon : this plugin is only available for Millumin. any chance you make a photoshop version, Philippe ? Not sure. Please create an idea on Uservoice : it helps to keep track of user requests, and see if other people are interested. Watch this video, and try to do the same only with After Effects : you could probably do some simple contour-animations, but I doubt you could do more ... Let me know. Hi Phillipe. Would it be possible to save the sample file as a CS5 version? I cant open your CS6 file! Awesome looking plugin, I thing Indavideo has missed the point completely! You can redownload the ZIP file : I put a CS5.5 version. By the way, if you could convert this CS5.5 version to CS5 version (from menubar, click on "File" then "Save as ..."), I could add it to the ZIP file (unfortenatly, I only have CS6 and CS5). Please send it to contact@millumin.com if possible. Cheers Phillipe, I'll have to wait for somebody else to create the lower version! I cant open the CS5.5 version either! Cheers for trying. 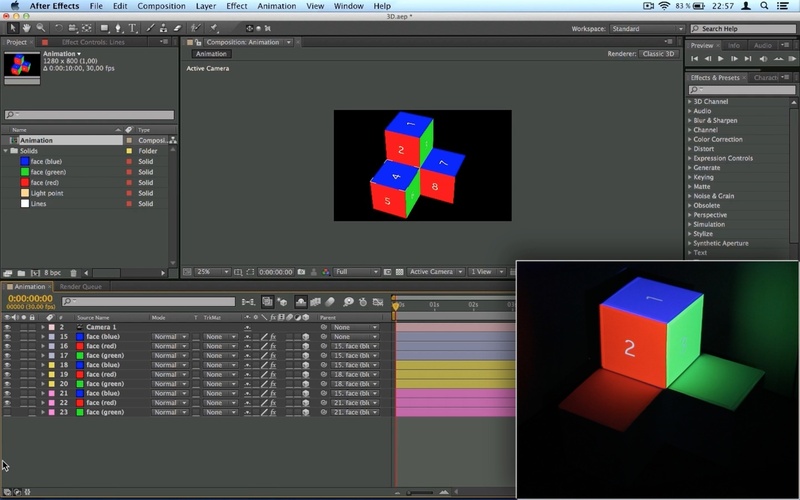 You can create your own project, and you'll be able to use the After Effects plugin as well ! I did copy the the "Millumin.plugin" file into the "Plug-ins" folder of After Effects CS5 but it seem nothing happen..I open the Input library of Millumin...doesn't show up After effect app..
Did you create a composition in After Effects, so there is something to output towards Millumin ? I tested it with After Efects CS5 10.0.0.2, and everything is ok. Jumped into using this plug-in for a job. Very efficient once getting the hang of the workflow. Great for previz. I don't have to render a clip several times over to see the results. Nice work. I love it !!!! Great function! Be sure to use the lastest version of Millumin. What version do you use ? @invader If you buy the plugin, I can guarantee it will work. Stop cracking things 'Filipe Pereira'. Please download the zip file (see the first post above), then follow the instructions in the "Readme.txt" file. This is super-usefull, thanks a lot Philippe. Wow, is it a big step to do the same for apple motion? We don't have experience in Apple Motion, so it won't be quick and fast. But feel free to submit an idea on Uservoice : it helps us to keep track of user requests, and see their popularity. Hi, it's only for mac? Millumin is Mac only, so yes, the plugin for After Effects also. Hello--is this also available to windows? The answer to this question is just before your message.